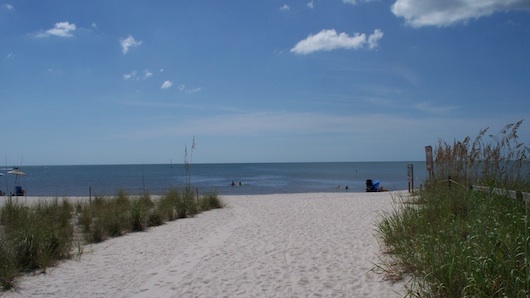 This North Naples beach is really at one of the northern most areas of Naples Florida. 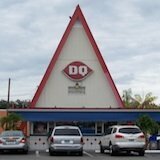 The main intersection to get it to it is on Immokalee Road and US 41. From there you take Immokalee Road west. You'll see a Delnor-Wiggins pass beach sign and a parking lot right after that. You can park here and walk over the bridge and onto the beach. After going over the bridge, there are some parking spaces (not many) right next to the beach entrance. 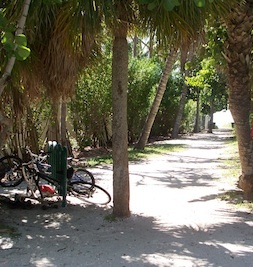 And to the right you have the Delnor-Wiggins Pass State Park entrance. You can lock up your bicycle right by the beach entrance here. 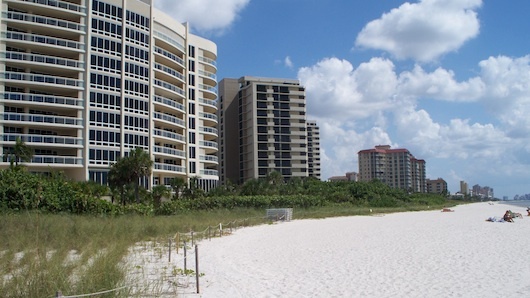 This beach is right off of Gulfshore Drive where there are a few hotels, some houses, and plenty of condominiums. If you continue north you'll end up reaching a pass. 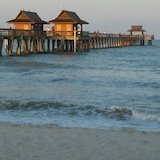 If you go south you will see all of the hotels, resorts, houses, and condominiums and eventually reach Vanderbilt beach which is another Collier County public beach with plenty of parking. Actually, they have a newly built parking garage. 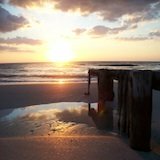 This beach is a great place to hang out, soak up the sun, enjoy a sunset, and explore by walking. 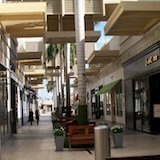 Walking towards the Gulf from the entrance. Facing south looking at some of the condominiums and resorts on the beach that are off of Gulfshore Drive. 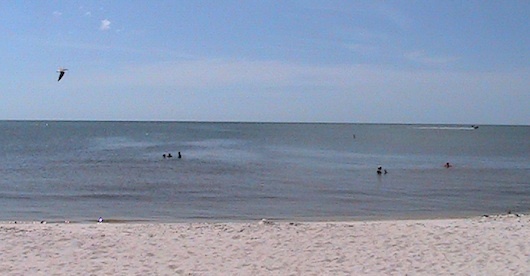 People here are enjoying the calm water in the Gulf. Boaters love it as well. 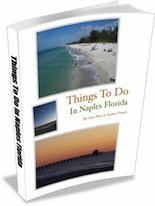 To learn about another North Naples beach, go back to our Naples Florida Beaches section. 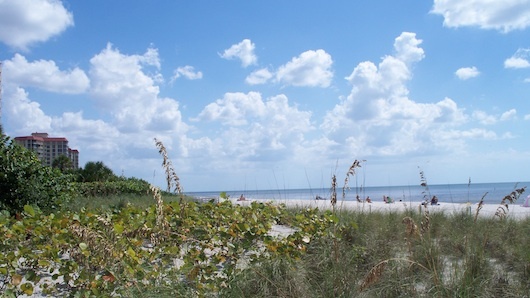 Other beaches in the north region of Naples include: Wiggins Pass and Vanderbilt Beach.